The Food Safety Modernisation Act (FSMA) is the most significant change to US Food Safety legislation in over 70 years. The act was signed into law by President Obama in 2011. FSMA is in response to numerous food poisoning incidents that have occurred in the US over the past ten years. Figures released by the USDA estimate that each year over 9 million Americans become ill from food poisoning, resulting in 50,000 hospitalisations and over 2,000 deaths. With FSMA there are seven rules which are specific to different types of foods, elements of the supply chain and stakeholders. 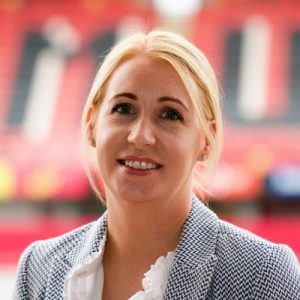 With this level of complexity and change, the challenge for Irish indigenous and Irish based multinational food companies is to understand how these rules will affect their current Food Safety Management Systems. 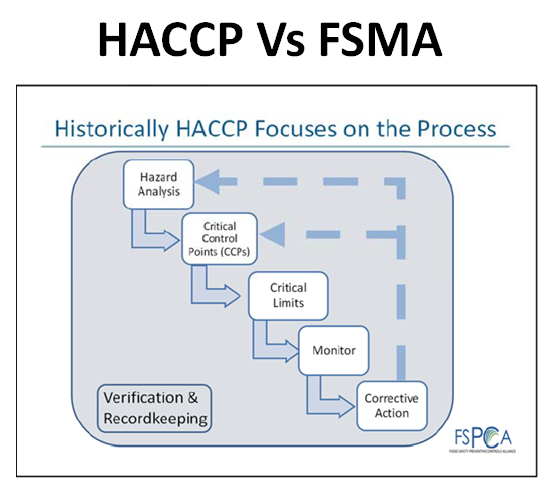 Like HACCP, FSMA is a Risk based food safety management system approach focused on hazard analysis and prevention of problems to ensure consumer protection. The seven principles of HACCP are incorporated into the FSMA framework. 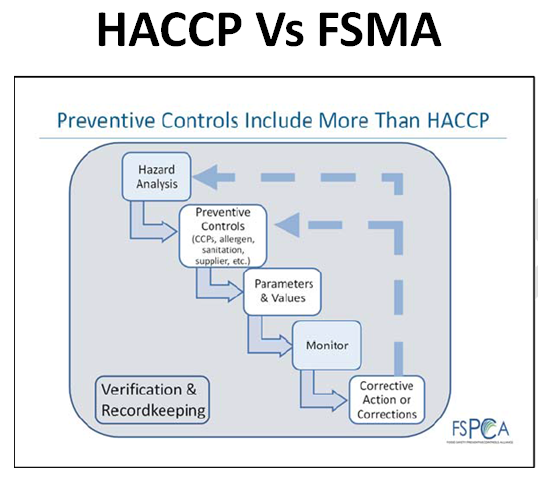 Figure 1 & Figure 2 visuals from the Food Safety Preventive Control Alliance (FSPCA) show the similarity and difference between HACCP and FSMA. 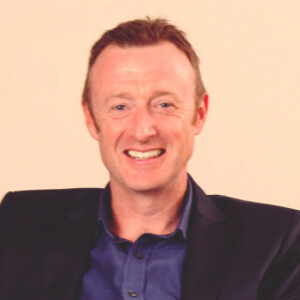 Both employ a similar logic however, FSMA moves away from the traditional HACCP approach of just being focused on the manufacturing process to address the entire supply chain. It also stresses the point that most food poisoning incidents are not due to CCP failures hence the focus on Preventive Control Procedures, PCPs. 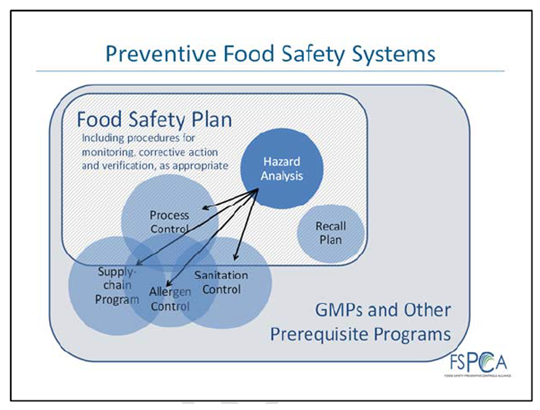 The Figure 3 visual below of a “preventive food safety system” identifies how FSMA requires four of the traditional GFSI pre-requisites of supply chain programme, allergen control, sanitation control and recalls plan to be included in the Food Safety Plan. This is in direct response to what was seen as major flaws in recent US food poisoning investigations most noticeably in the salmonella typhimurium contamination of peanut products.